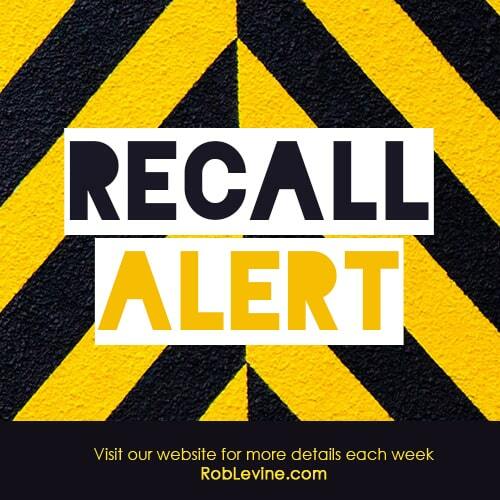 Volkswagen is recalling select 2019 Jetta vehicles. There may be a chance that the driver frontal airbag is incorrect. Ford is recalling select 2019 Fusion Energi Hybrid models. Some of these vehicles do not comply with Federal Motor Vehicle Safety Standard because they may not protect against direct or indirect high voltages. Toyota is recalling select 2019 Camry Hybrid and Avalon Hybrid vehicles. The filler pip may be improperly connected which may leak fuel. This can increase risk of fire. BMW is recalling select 2019 X5 xDrive40i and xDrive50i vehicles. The bolts for the driver’s seat may not be properly tightened. Audi is recalling select 2018 Audi A3 sedan and RS3 vehicles. The center rear seat head restraint may be missing latching pins.